Cheesy title huh? But it’s actually rather fitting. ‘Spirito di Milano’ is Princi’s slogan and I tell you what I almost felt like I’d stepped into Milan! 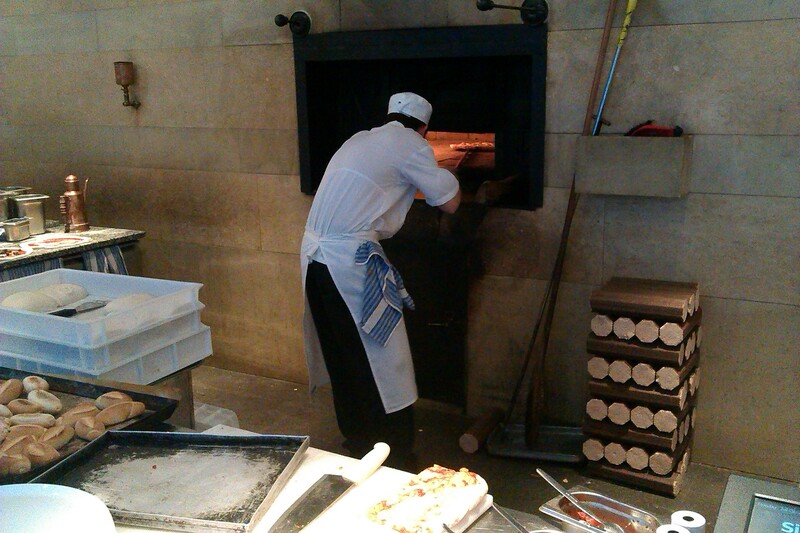 Located on the bustling Wardour Street in Soho, Princi is a buzzing Milanese bakery/pizzeria. As soon as you enter the smell of freshly baked pizza oozes from the oven. The counter is overflowing with an array of cakes, Italian breads and pastries. So upon arrival you have two options. Steer right into the more bakery, light eatery side. Here you can indulge in mezze teamed with decadent wines. 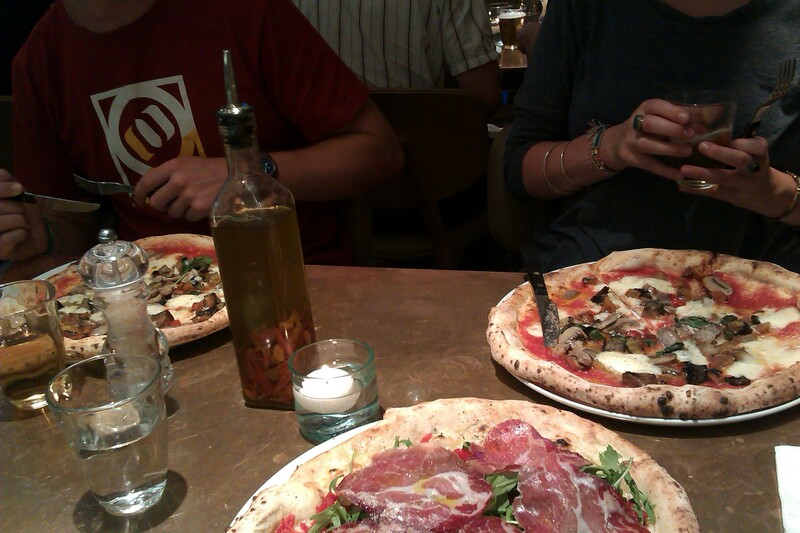 Think olives, bruschetta & cured meats. 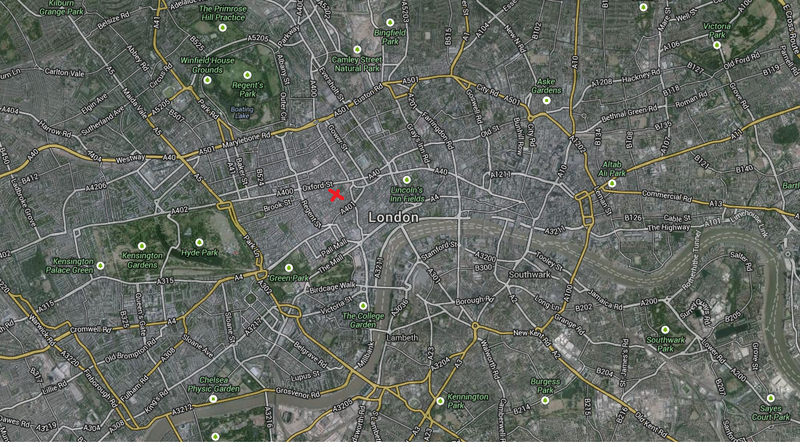 Follow this with almondy Cannoncini or succulent Frangipanes. Steer left and enter the pizzeria restaurant. With pooosh waiting staff and smell wafting pizza oven. So my two mates opted for the veggie selection and I (wishing to use some of my new found words) opted for the Coppa, which teamed cured pork leg with mozzarella, tomato and rocket (@britalianjob got me on the rocket @backyardcinemas !). They had a couple of beers and I pushed the boat out and errr went for tap water…….I was saving myself for a post dinner cocktail, don’t judge! So the pizza was freshly baked and didn’t take long at all! Before we knew it, these bad boys were handed over to us! 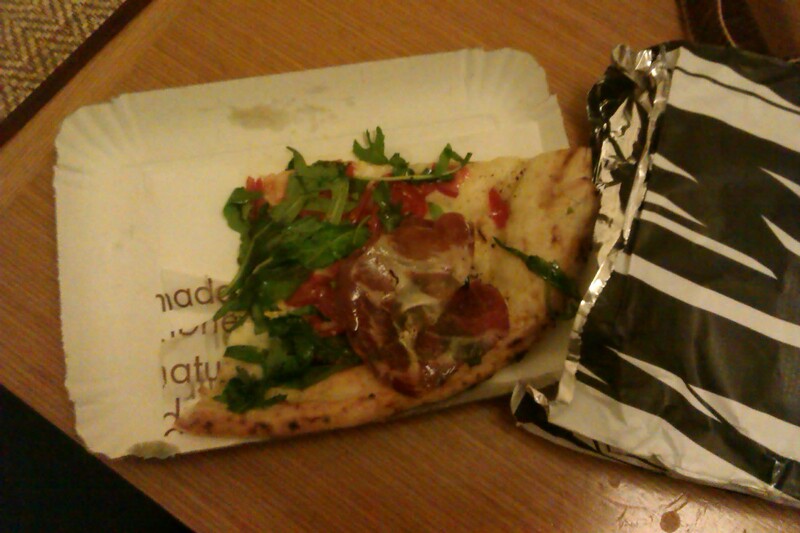 They were proper good, like the ones from when you actually visit Italy. None of this stodgy Dominoes riff raff (yes we all know they taste good, but you feel a little bit dirty after you’ve polished off a large one to yourself…..). 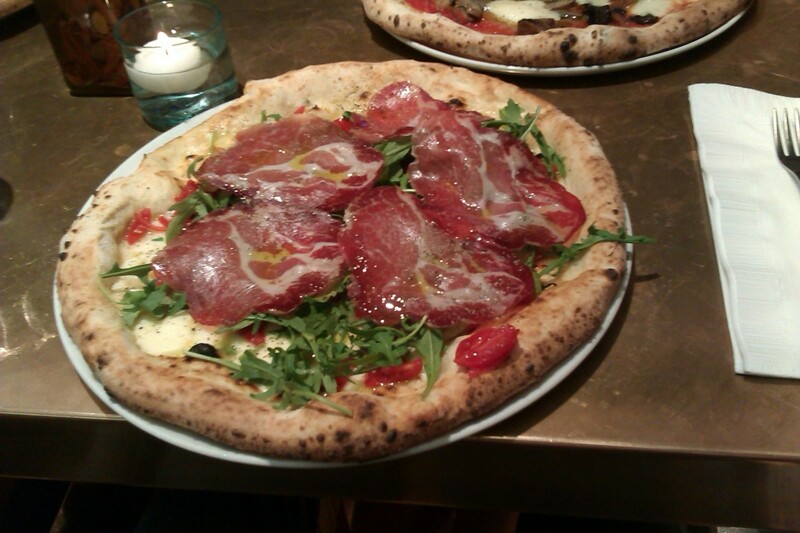 The pork added a well nice saltiness to it, the rocket all peppery and it was slathered in mozzarella. Drool-tacualr! Think the chums enjoyed theirs too. A little note that I thought was rather cool, they had incense burning in the loos! The smell wafted around and was well nice, and all the loos were clean and wooden and ahhh I want my bathroom like them. I did try and take a pic but there was a queue and I started to get some funny looks……..
Vibe: Really buzzing especially for a Monday. I’d like to go back and try the window seats with the mezze and cakes! Also the attention to detail was really cool, the incense in the toilets etc. really made it nice. 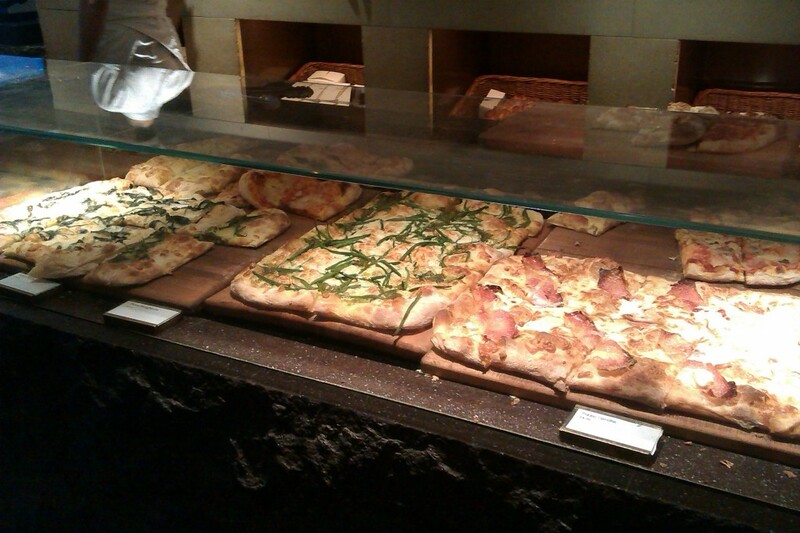 Notes: I totally want to go back to try the focaccia pizza and desserts!!! Head round the corner for a cheeky cocktail at Carom Botanical Gin Garden, hosted in Floridita. 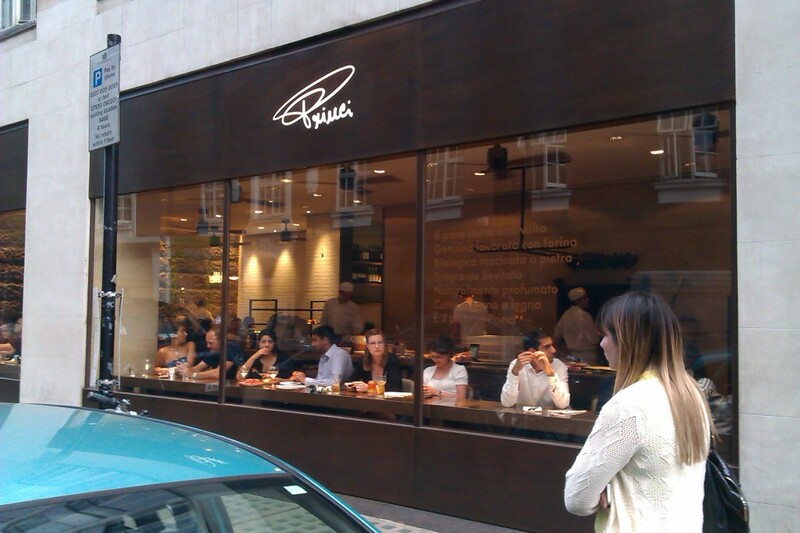 Princi serves Breakfast, Lunch and Dinner every day of the week. They also provide a take-away service and party platters. Or if you’re feeling really keen visit one of their chomping stations in Milan, thats how authentic it is.